The youth and uncertainty of A&M’s quarterback depth has been discussed at length by this blog and many others. Kyle Allen looks to be a rising star that could make serious strides in 2015. Incoming 5-star Kyler Murray just might be the best Texas High School football player ever. And walk-on junior Connor McQueen is comfortable in the offense and is even rattling off some highlights himself. But that’s it; two original scholarship players and a walk-on that earned a scholarship. With the risk of Kyler Murray going the MLB route, A&M runs a very serious risk of entering 2015 with only one true scholarship quarterback on the roster in Kyle Allen. Nevertheless, these depth concerns might finally be put to rest in 2016. The Aggies are in play for two of the state’s top QB’s in Channelview’s Jalen Hurts and Westfield’s Dillon Sterling-Cole. Jalen Hurts is a 4-star recruit according to Rivals and 247 and checks in as the 8th best dual threat quarterback in the nation. He attended A&M’s junior day on March 6th where he received his scholarship offer. Since then, he has been very high on the Aggies and is even planning a return visit sometime next week. As a junior, he tallied 2,545 yards and 21 touchdowns through the air last season. Additionally, he added another 951 yards and 19 touchdowns on the ground helping earn himself District 21-6A Overall MVP. Hurts plans to shut down his recruitment early, a move that bodes very well for the currently leading Aggies. 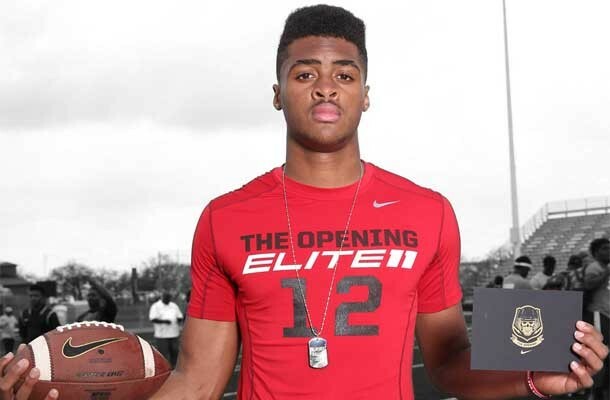 After an MVP performance at Dallas’ Nike Camp this past Sunday, Dillon Sterling-Cole earned himself an invite to the Elite 11 Quarterback Competition and finally gained the Aggie offer he had been wanting. Dillon is another Aggie legacy with his father, Chris Cole, having played wide receiver for A&M from 1996-1999. Chris even made it to the NFL where he played for the Denver Broncos until 2003. That talent has clearly extended down to his son who now plays quarterback at West Orange-Stark high school near Beaumont. Over the past two seasons, Dillon has amassed 4,628 passing yards, 50 passing touchdowns, 693 rushing yards, and 15 rushing touchdowns. The rising 3-star recruit seemed just a little excited about his A&M offer today. @Tyrie_1 We have to talk about this one later 😏👌💯 . In this past 2015 recruiting class, the coaches landed the one and only quarterback they were going after. They promised Kyler Murray that he would be the sole quarterback they recruited and they held to their word even despite some late recruiting drama. And with two 5-stars (MLB pending) on the roster, the coaches can finally turn their sights towards adding depth. 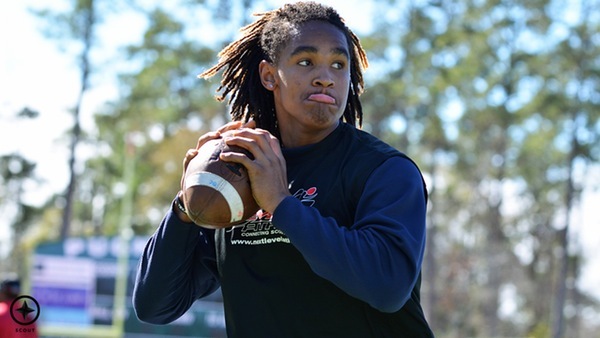 This makes both Jalen Hurts and Dillon Sterling-Cole takes for this 2016 recruiting class. Coach Sumlin would only be so lucky to land their commitments.